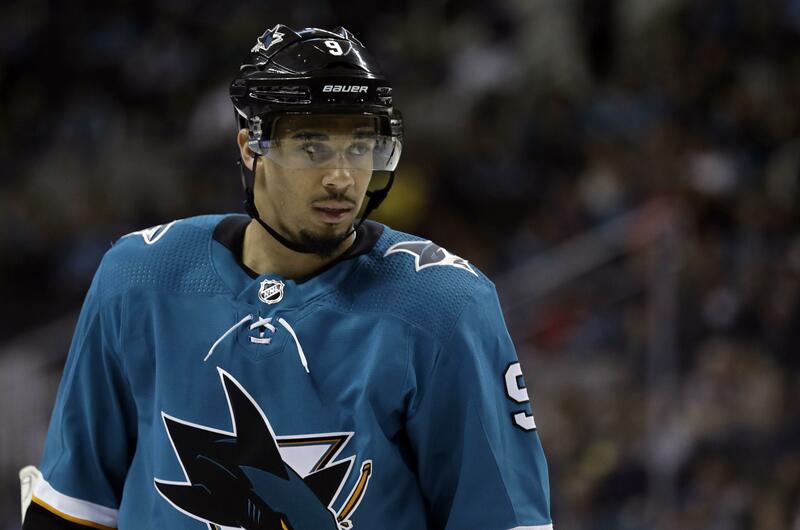 SAN JOSE, Calif. – The San Jose Sharks signed pending free agent forward Evander Kane to a seven-year contract Thursday that keeps the high-scoring winger off the open market and part of the Sharks long-term future. Kane, who turns 27 in August, was acquired from Buffalo at the trade deadline in February and became a key part of San Jose’s team down the stretch and in the playoffs. Under the terms of that trade, the Sabres will get a first-round pick in 2019 instead of a second-rounder because Kane signed with San Jose. The selection is lottery-protected, so it could be moved to 2020. The Sabres also got forward Danny O’Regan and a conditional fourth-round pick in 2019 in the deal. His off-ice issues included run-ins with the police. In March 2016, prosecutors announced after a three-month investigation that Kane would not face a sexual assault charge. In August 2016, Kane pleaded not guilty to charges he allegedly grabbed three women by the hair and neck during an altercation in a Buffalo bar. The charges were later dropped as part of a plea deal, if he stayed out of trouble for six months. Published: May 24, 2018, 10:37 a.m. Updated: May 24, 2018, 3:48 p.m.